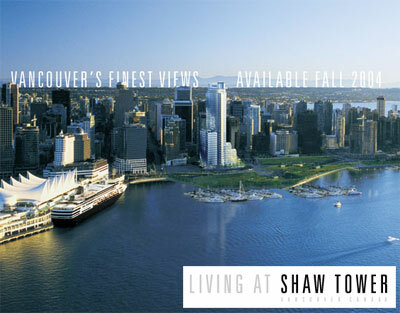 Living at Shaw Tower Vancouver Condos For Sale! Everyone’s seen it and most people have dreamed about living along the downtown Vancouver waterfront at the edge of Coal Harbour and City Centre, but not many homebuyers have had a chance to look inside or to have a hcance at purchasing a luxury Vancouver Shaw Tower Condominium. Here at the prestigious Coal Harbour Shaw Tower Vancouver Condo Residences, you will find a development that is designed and constructed with you in mind. 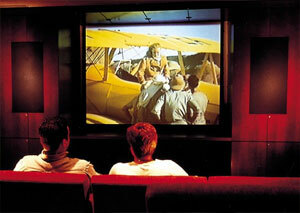 A place that is both inviting and relaxing, exciting and luxurious. The original condo tower residences were sold out in a matter of months of pre-sales and Living at Shaw Tower Condos in downtown Vancouver Coal Harbour real estate became a reality just a couple of years ago when the project was completed. A sleek glass and steel design with amazing modern architecture, Living at Shaw Tower Vancouver Condominium Homes along the waterfront of Coal Harbour real estate is now becoming available through a few re-sale condo units every month. So with low mortgage rates and affordable waterfront Coal Harbour condo prices on the way, the Shaw Tower Vancouver Condominiums for Sale may present the perfect opportunity for you to purchase your dream home now. 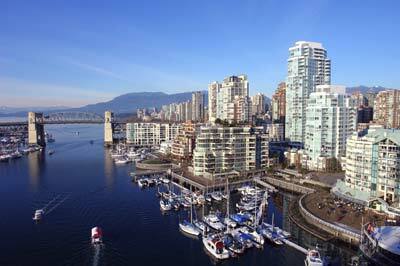 The prime location of the Coal Harbour Shaw Tower Vancouver condos is simply impaccable. Just next to the new Vancouver Convention Centre and literraly steps from the seawall that is now connected to Stanley Park, the Shaw Tower residences here in Vancouver downtown real estate market is at the north end of Burrard Street in Coal Harbour, Vancouver’s premier waterfront community. Minutes from the Central Business District, shopping and restaurants, the views from the residences at Shaw Tower Coal Harbour real estate offering start from floor 19 where other Coal Harbour condo building’s views end. You will have a chance at viewing panoramas that stretch 360 degrees from the North Shore to Coal Harbour and to English Bay. The waterfront Coal Harbour condos for sale at the Vancouver Shaw Tower condominiums were designed by award winning architect James KM Cheng. With the utilization of the most prominent sites in Coal Harbour real estate with one of Vancouver’s tallest condo buildings in the Shaw Tower Residences, a postcard will not be complete without this tower residence in the skyline. Simply the besting what Coal Harbour real estate has to offer, the waterview Vancouver condominiums at Shaw Tower residences are simply luxurious in every shape and form. The interior condo designs were done originally by Robert M. Ledingham Inc. of Ledingham McAllister developers. All standard suites here at the Shaw Tower Vancouver condo residences feature over height ceilings and oversized windows presenting breathtaking panoramas, views and lots of natura lighting throughout the day and night. In addition, homebuyers here at the resale Shaw Tower condos in Coal Harbour real estate market can enjoy polished European granite counter tops in both the bathrooms and kitchens in addition to under floor (in-floor) radiant heating in the master ensuite bathrooms. Other standard features here at the re-sale Coal Harbour Shaw Tower condominiums include full height wood cabinetry in the kitchen/bathrooms in addition to European limestone and quartzite stone tile in both places as well. The re-sale Vancouver condos at Shaw Tower Coal Harbour condominiums for sale include LCD screen to selected suites, options to others in addition to three colour schemes to choose from that include cherry, maple and walnut which is an optional upgrade for the original pre-sale homebuyers through Rennie. Also standard in all suites here at the waterfront Coal Harbour condos for sale at Shaw Tower Vancouver Downtown includes thirty inch OptiFlame electric fireplace and sun controllable roller shades with an option for motorized system as well. Lastly, the suite entryway features quartzite or limestone from Europe. The Vancouver Shaw Tower condominium residences features a separate residential lobby with twenty four hour concierge as well as twenty four hour digital video recording surveillance system in addition to video enterphone system and restricted floor access for homeowners. Other building features here at the re-sale Coal Harbour condos at the Shaw Tower residences include high speed Fujitec elevators with flush mounted video displays, Shaw Digital Entertainment Terminal, super high speed internet connections and 100 Mb local area network for live/work apartments. The waterfront Vancouver Coal Harbour condos for sale here at Shaw Tower Condominiums also feature Suite Technology options that include completely integrated suite automation system, super thin LCD TV built into the cabinetry of the kitchen as well as automated lighting control systems. Other optional upgrades for pre-sale home buyers here a the new Shaw Tower Vancouver Coal Harbour condos for sale include a home theatre featuring Sony Wega Plasma technology and mult-room distributed music systems. The amenities at the waterfront Coal harbour condos for sale include the separate Shaw Tower condo lobby with 24 hour security and concierge, the high speed residential elevators and private 17 seat screening room or movie theatre. The Shaw Tower Vancouver condo tower also presents a state of the art screening facility that includes THX Ultra certified surround sound system and Sony 100” HDTV capable big screen projection system. The Coal Harbour Shaw Tower condos also has an executive Boardroom and separate meeting room in addition to secured common bike storage, discreet garbage shute on each floor and a storage locker for each suite. In addition, the prestigious and luxury Coal Harbour residences at Shaw Tower Vancouver has a 4300 square foot fully furnished and licensed daycare on site for 37 kids, a 3900 square foot health club featuring reception/waiting area, fully equipped exercise area, fitness room, massage room, steam room, change room and lockers. The Team behind Living at Shaw Tower Coal Harbour Condos for Sale include James KM Cheng Architects, Phillips Farevaag Smallenberg Inc landscape architect, Robert M. Ledingham Inc interior designer, Westbank Projects Corp development manager and Ledcor Construction contractor. All homes at the luxury Coal Harbour Shaw Tower Condominiums in downtown Vancouver real estate market come with an impressive 2/10/10 Year Warranty provided by Willis. On the 41st floor of the Shaw Tower Residences in Coal Harbour real estate market, you will find the impressively luxurious penthouse suites. Upscale yet unpretentious, Pinnacle Living Vancouver False Creek condos for sale is a stylish collection of pre-sale concrete and glass condominium residences boasting an outstanding Southeast False Creek real estate location and a heavy emphasis on sustainability. Floor plans here at the Southeast False Creek Pinnacle Living condos in Vancouver waterfront range from one and two bedroom apartments to spacious Pinnacle Living townhomes and penthouse suites. Just steps from the seawall to Granville Island, the pre-construction False Creek Pinnacle Living condos for sale in Vancouver is accessible by biek, car, train, trolley, foot and even boat. Truly the best os what makes Vancouver waterfront living one of the most desirable cities in the world year after year. For more information about the pre-construction Southeast False Creek Pinnacle Living Vancouver condominiums, please call 604.683.1328 or 704.876.9222. Alternatively, you can also visit www.pinnacleliving.ca for all the details and to register for the pre-sale False Creek condos at Pinnacle Living Vancouver. For those Vancouver homebuyers who haven’t heard, Pinnacle International real estate development team has recently launched previews and sales for the new Pinnacle Living False Creek condo project that features a total of one hundred and five luxury condominiums and townhomes. These southeast False Creek Pinnacle Living condos include large floor plans between one bedroom to three bedroom family homes. The Pinnacle Living False Creek Vancouver condo floor plans range in size between six hundred square feet all the way to the thirteen hundred and fifty square feet range. The architect for this new southeast False Creek real estate condo development is IBI and the interior design team in charge of these condominium interiors is False Creek Design. Expected occupancy and move-in for Vancouver condo homebuyers will be in the summer of 2011 and the Pinnacle Living sales centre is now open at First Avenue and Ontario Street from Saturday through to Thursday from 12 to 5pm. The price point for these new False Creek condos are three bedrooms from seven hundred and fifty thousand dollars, two bedroom condos from five hundred and sixty thousand and the spacious one bedroom Pinnacle Living condos from three hundred and fifty thousand plus GST. The master planned community by a respected builder is very well located and residents here can expect to commute to and from downtown Vancouver with ease. Also close by is City Hall, Cambie Street shopping, bridge, False Creek, Granville Island, South Granville, the waterfront promenade and much more. One distinguishing feature for homebuyers is that the new Vancouver Pinnacle Living False Creek condos are located on private lands (and not public lands). Located just next to the 2010 Olympic Village by Millennium Developments, the pre-construction Vancouver Pinnacle Living False Creek condos will be part of a new neighbourhood that is exciting and growing very quickly. A great choice of floor plans are catered towards not only singles and professional couples, but also growing families, with a distinct number of three bedroom floor plans available. In addition, this sustainable southeast False Creek real estate community is also affordable, with one bedroom suites starting from the $350’s, which is much less when compared to the suites being sold at the neighbouring Millennium Water. Many homebuyers believe that the southeast False Creek real estate district is a reminder of the revitalization of Yaletown in downtown Vancouver, and within a few short years, will rival it in terms of location, accessibility, affordability, trendy dining/shopping, amenities, services and transportation routes. When the Olympic Village is finally complete, the pre-construction Vancouver Pinnacle Living False Creek condo development will be part of a huge community that will see the influx of more than sixteen thousand people. AS part of the community, there will also be a humongous forty five thousand square feet community centre, a new southeast False Creek elementary school, 3 child care centres, plaza and a community green space. The vibrant family friendly neighbourhood is bound to e a most sought after community for Vancouver homebuyers for generations to come. In addition, this Southeast False Creek community centre just next to the pre-construction Vancouver Pinnacle Living condos is designed by the late Arthur Erickson and will have boat slips, tones of retail and commercial office space, games room and a large gym. Because of all of the newly added community amenities, the new Pinnacle Living False Creek Vancouver condos for sale have minimal on site shared amenity spaces, which will save homebuyers in terms of lower monthly strata fees. The sustainable pre-construction False Creek Pinnacle Living Vancouver condos for sale will be environmentally friendly and will promote residents to walk, conserve energy and water. In addition to the condominium offerings, the new southeast False Creek real estate development will also feature the pre-construction Vancouver Pinnacle Living townhouses. There will be a total of six presale False Creek townhomes for sale starting from just under seven hundred thousand dollars. All six of these Vancouver Pinnacle Living townhomes will have vaulted ceilings in the living room as well as ground level walk-up patio entrances. If you would like more information regarding these new Southeast False Creek condos for sale, please do not hesitate their sales staff at 604.874.8368 or you can visit their web site at pinnacleliving.ca. The project is currently being marketed for previews as well as presales, and the expected completion is for summer 2011. Straight from their email newsletter from Anson Realty – Thank you for your interest in our “Pinnacle Living at False Creek” Vancouver real estate project. We are now starting to book private viewings. Our first release of homes at the Vancouver Pinnacle Living at False Creek will be the project at 1887 Crowe Street at West 2nd Avenue. The Vancouver condo sales presentation centre and display suites are located at 1st and Ontario Street, Vancouver, BC. Please call us if you wish to book a viewing time at the new pre-sale Vancouver Pinnacle Living at False Creek development first release. Yours Truly, Anson Realty Ltd. Alain – Member of Sales Team at 3378 Cambie Street, Vancouver. Call 604.876.9222 or email alainchat@hotmail.com for additional information regarding the new Pinnacle Living at False Creek Vancouver real estate offering. There’s a reason Vancouver has chosen South East False Creek to house the world’s greatest athletes, and for that same reason, Pinnacle Living False Creek has chosen it as the site for their latest Vancouver real estate development called Pinnacle Living. Peace, beauty, accessibility and sustainability – it’s the best Vancouver real estate market has to offer, and now you can call it home. Elegant Pinnacle Living False Creek Vancouver homes in the Signature Pinnacle style features one, two and three bedroom floor plans. 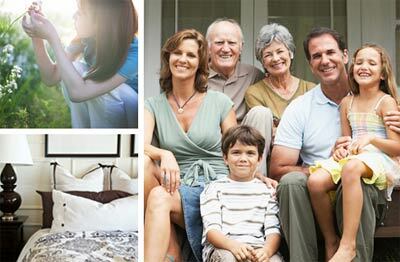 Register today at www.pinnacleliving.ca or call 604.874.8368. For a sneak preview of the pre-sales Vancouver Pinnacle Living False Creek condos for sale, please visit the Sales Pavilion and Display Suites at 1st and Ontario in Vancouver. Marketed by Anson Realty Ltd. and proudly developed by Pinnacle International. Just a hop over the Cambie Street Bridge, the pre-construction Vancouver Pinnacle Living False Creek condominiums is steps to the waterfront and admist the most comprehensive waterfront development the city of Vancouver has ever seen. Register today for a new home at the waterfront Pinnacle Living Vancouver condos for sale, and get in on the ground floor of the latest False Creek waterfront neighbourhood in town. To see the comprehensive Vancouver Southeast False Creek master plan for re-development, please visit this online website for all the details about the latest developments and construction progress: http://vancouver.ca/commsvcs/southeast/. At the core of Southeast False Creek real estate district and just mere minutes from the Vancouver seawall, the pre-construction condos at Pinnacle Living development is one hundred per cent accessible by biek, train, car and even by boat. Cycle to work on weekdays or jog to Granville island over weekends. Whatever you like, you can get to anything within seconds. You can also take the ferry across the harbour for a glass of wine Oceanside. The pre-sale Southeast False Creek Pinnacle Living condos along the Vancouver waterfront real estate is the epitome of everything this great city is famous for: picturesque, healthy, West Coast lifestyles. The multiple locations of these condominium developments along the Southeast False Creek Vancouver waterfront neighbourhood is what makes Pinnacle Living condos so very unique. Currently, there are four development sites that make up the master planned Pinnacle Living Vancouver real estate development. 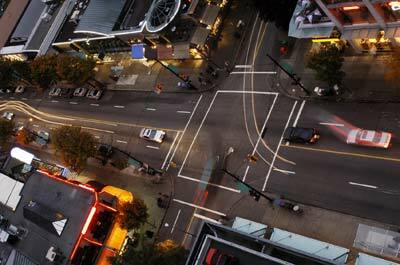 They include: 1887 Crowe Street, 89 West 2nd Avenue, 1700 Manitoba Street and 20 East 1st Avenue, Vancouver. The real estate developer for the pre-sale Southeast False Creek condos for sale at Pinnacle Living Vancouver waterfront is Pinnacle International. Each accomplishment by this great builder strengthens the corporate purpose; each achievement is intended to be a new benchmark in construction. Pinnacle Living False Creek lifts the height of luxury and quality in the new city living along Vancouver’s waterfront real estate. 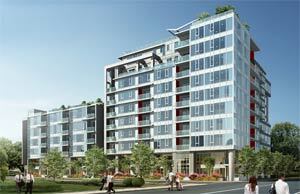 Thank you for registering with Pinnacle Living False Creek real estate development. We will be contacting you shortly to provide further information. If you have any questions please contact the False Creek Anson Realty Condo Sales Office at 604.683.1328. You may also e-mail us: anson@anson-realty.com. Pinnacle Living False Creek - Grace, Sales Manager, Anson Realty Ltd. Located in Surrey’s ever more vibrant Morgan Heights real estate neighbourhood, Azure Surrey townhomes is a stylish collection of 76 townhouses designed with today’s active lifestyle in mind. These three bedroom and loft homes are spacious here at the Morgan Heights Azure townhomes for sale with approximately 1850 square feet plus an 800 square foot finished basement that can be easily converted into your workspace, gym or theatre room. Azure Morgan Heights Surrey townhomes are found at 163rd Street and 24th Avenue in South Surrey real estate market. Be sure to watch for the grand opening of Azure Surrey townhome’s presentation centre and two show homes which is expected to be happening in just over a month. In the meantime, to receive more ifnromation as it becomes available, please register for the Surrey Azure townhouses online at www.azurehomes.ca. Life is wide open here at these new Surrey townhouses for sale that feature a VIP preview in early May 2009. Explore new horizons in luxury and lifestyle here at the pre-construction Surrey Azure townhomes. Discover premier townhome residences in a prime Surrey real estate location. Azure townhomes’ spacious open floor plans of over twenty six hundred and fifty square feet of finished space that includes finished basements and expansive fenced yards is surrounded by South Surrey real estate’s great outdoors. The new Azure Surrey townhouses will open your eyes to a new way of urban living and they start from just $499,900. Register for VIP previews at the Surrey Azure townhomes website located online at www.azurehomes.ca. You will qualify for the VIP incentive package and receive email invitations to attend the VIP grand opening in early May. The display centre for these Surrey Azure townhouses is located at 2453 163 Street in Surrey, BC. Contact Mark or Steve at 604.538.2125 for more information. The South Surrey real estate market is picking up yet again, and the new Azure Townhomes are now available with sunny open concept floor plans and family sized layouts in addition to great finishings and large back yards that are great for kids and pets. In addition, these pre-sale South Surrey Townhomes for sale along the promenade of White Rock and close to services and amenities, are one of the best situated new developments in the city that seems to be expanding at record pace. In addition, the meticulous attention to detail here at the pre-sale Surrey homes for sale at Azure living cannot be forgotten with main floor powder rooms for guest and your convenience in addition to engineered hardwood flooring, concrete surrounding the fireplaces as well as vaulted soaring over height ceilings in the main living rooms. The casual West Coast architecture and design of these new Surrey homes at Azure townhomes is truly stunning and comlimentary of the surrounding neighbourhood, and South Surrey homebuyers can also enjoy large kitchen spaces with center islands, and a chandelier too. Other great features here at the presale Azure South Surrey townhomes include side by side laundry with a work area table top for folding and ironing in addition to hinged heritage doors, soft under cabinet task lighting and dual sinks too. For those who like to garden or have green space, the new Surrey homes at Azure townhouses are ideal as these low maintenance townhomes provide plenty of back yard space for all to enjoy. As far as community amenities are concerned, the presale South Surrey Azure townhomes will give residents plenty of options that include a lounge area with a full catering style kitchen, outdoor fit pit area, fireside lounge and low maintenance strata fees. The second phase of the Azure Surrey townhomes launches October and they are located at 2453, 163rd Street in South Surrey real estate market place. They are open from one to five. PHASE I is officially SOLD OUT!! Discover South Surrey real estate’s hottest new townhouse development at the Azure living community. Featuring twenty six hundred and fifty square foot spacous floor plans with finished basements and a premier South Surrey real estate location, these impressively luxurious family sized homes are starting their Phase II sales very soon. Granite kitchen counter tops and over height ten foot ceilings are some of the many standard features at the new South Surrey Azure homes for sale. Special Bonus at Azure Surrey Townhomes: NEXT 5 SALES INCLUDE GRAND OPENING BONUS! These luxurious Surrey homes start from $559,900. In addition, the South Surrey Azure Townhome pricing includes GST! Here are the Grand Opening PHASE II details: October 24 & 25, 2009 from 1:00 pm - 5:00 pm at 2453 163 Street, Surrey, BC. According to the latest email marketing blast, the new South Surrey Azure Townhomes in the Morgan Heights real estate community are now ready for VIP previewing. You are invited to the VIP preview on May 9 and 10 from 1-5pm at the new South Surrey townhome development called the pre-sale Surrey Azure Townhomes for sale. Discover the premier Morgan Heights townhome residences in a prime South Surrey real estate master planned community. The new Surrey Azure townhome's spacious open home floor plans of over twenty six hundred and fifty square feet of finished space will open your eyes to a new kind of urban living in this growing neighbourhood. The Morgan Heights South Surrey real estate development offering includes just over seventy new Azure homes for sale that feature finished basements and expansive fenced yards for outdoor living space and entertainment space all year round. In addition, homeowners at the pre-construction South Surrey real estate development at the new Azure Surrey townhomes will be living in the heart of the great outdoors. Introducing a new way of urban living at the South Surrey Azure townhouses for sale with Morgan Heights townhomes starting from just $499,900 plus GST. The special deals for these South Surrey real estate properties is the Azure Incentive Package where the first five home buyers will have the GST included with their home purchase. This is a great value of up to twenty six thousand dollars! Again, the Surrey Azure townhome grand opening sales is happening on May 16 and 17th from 1 to 5pm at 2453 163 Street, Surrey real estate market. Call Mark Lofthouse or email info@azurehomes.ca for additional details about the Azure Surrey townhome grand opening and incentives or visit azurehomes.ca for more information. Spacious pre-sale Morgan Heights townhouses now available. Now available, the grand opening has showcased a number of impressive features here at the pre-construction Surrey Azure Morgan Heights townhomes for sale. Discover the premier and most spectacular Surrey home development in the prime location of Morgan Heights. With spacious floor plans of over twenty six hundred and fifty square feet of finished space including finished basements, in addition to expansive fenced yards, the new pre-construction Morgan Heights Azure Surrey townhomes for sale provide both luxury and lifestyle choices for new horizons. Home buyers here at the new pre-construction Surrey Azure townhomes will be located in the most ideal location with great pricing starting from just $499,900. The display home is now open for viewing. We would like to thank you for dropping by AZURE Surrey townhouses for sale. The response to our 2 showhomes has been excellent. We are presently 28% sold out of Phase I Azure townhomes in Surrey real estate market. As a bonus offer, the Seller has agreed to pay 50% of the GST on the next 8 sales. A potential savings of over $13,000. STARTING FROM: $499,900 and BONUS OFFER: SELLER PAYS 50% GST ON NEXT 8 SALES AT MORGAN HEIGHTS AZURE SURREY TOWNHOMES! Azure Townhouses Now Selling: The first phase of release of prestigious South Surrey Azure townhomes for sale includes 29 three bedroom townhomes in duplex or triplex buildings that are about 1850 square feet in interior size in addition to an eight hundred sq ft unfinished basement that you can convert at any time to your liking. In addition, the prices for these South Surrey homes for sale at Azure living starts from less than $500k, making them one of the most affordable luxury Surrey real estate developments this year. From amazing floor plans to spacious rooms and from fireplaces to engineered hardwood flooring, the pre-construction Surrey Azure townhomes for sale will also introduce concrete surrounds, vaulted ceilings and side by side laundry in addition to a large ensuite soaker tub, under cabinet lighting and dual vanities too. With great design palettes to choose from and with an amazing location close to White Rock, the new South Surrey homes for sale at the Azure Townhomes is now selling out quickly, so visit their sales centre today for additional information and availability of suites in phase one. Arbour Lane Langley Single Family Homes for Sale! This limited collection of 21 single family Langley homes for sale is situated on a tranquil enclave in this beautiful city. Close to all major commuter access, the new recreational centre on 200th Street, Willowbrook Mall, and Kwantlen University, these Arbour Lane Langley homes feature geothermal heating and cooling, plus spacious legal garden suites, triple garages, five bathrooms and incredible 10 foot ceilings. 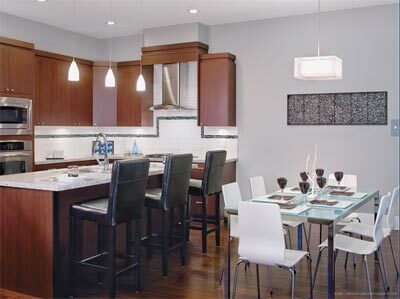 These pre-construction Langley homes for sale at Arbour Lane real estate development also feature gourmet kitchens. The Arbour Lane homes are located at 198A Street and 73A Avenue in Langley BC. For more information about the Arbour Lane Langley homes for sale, and to priority register today, please visit www.arbourlanehomes.com or call 778.578.0537. An exclusive neighbourhood like no other, the Langley Arbour Lane homes for sale is a unique and distinctive single family house community that is set in a beautiful locale. A great opportunity for growing families who want to live in a natural environment that protects the pristine surroundings for generations to come, the pre-construction Langley homes at Arbour Lane community provides plenty of living space and outdoor areas in addition to legal garden suites and affordable single family home living. In addition, you will do you part in protecting the environment here at the pre-sale Arbour Lane Langley Homes for sale where you will find geothermal systems that will heat and cool your house throughout the year using the earth’s energy. Eco-designed, superior interiors and long term energy efficient appliances and construction make these spectacular new Langley Homes at Arbour Lane a definite must-see on your list of new developments. Exceptional value is seen throughout the homes with artistic and detailed craftsmanship, attention to detail and much more. For those families who love the great outdoors, the pre-construction Langley Arbour Lane single family homes will provide tonnes of nearby conveniences that include outdoor destinations, recreational facilities, shopping, dining and much more. Here in this family oriented community, the Arbour Lane Langley homes will provide a safe haven for children of all ages. The neighbourhood itself is very convenient. For those looking for quick access to the highways and downtown Vancouver, the Langley Arbour Lane Homes will be within minutes of the new Golden Ears Bridge. This gated community of single family luxury Langley homes at Arbour Lane real estate development will also be within walking distance to the new Langley Recreation Centre on 200th Street in addition to big box retailers, schools, Kwantlen College and the Willowbrook Shopping Mall. Other active pursuits around the Arbour Lane Langley community includes golf courses, movie theatres, restaurants, swimming pools and tonnes of shopping as well. 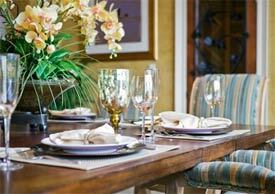 Maskeen Development is the master planner and builder for the Langley Arbour Lane homes for sale that includes such things as five bathrooms, ten foot overheight ceilings, triple garages and large, legal garden suites. From the powder rooms to the open living areas to the gourmet kitchens, the high quality construction is evident throughout these new Langley homes for sale at the Arbour Lane community, which is a boutique neighbourhood of only 21 custom designed houses now selling. A huge eco friendly bonus the entire project boatss is that it is served by geothermal heating and cooling systems, which gives you the most environmentally friendly system ever. In addition, the Arbour Lane Lanelgy legal suites allow extended families to stay close, or perhaps, you can rent it out to a tenant as a mortgage helper at any time. Close to parks, schools, Kwantlen, Willowbrook Shopping Center, and the Golden Ears Bridge, you will be central to everything you want. In addition, the Langley legal suites at Arbour Lane homes for sale are constructed with the same high quality finishings seen throughout the house. Spa inspired bathrooms have soaker tubs and master bedrooms are both open and spacious. 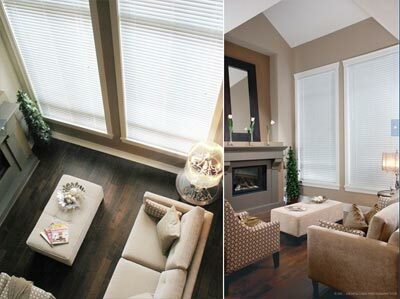 The living areas of the new Arbour Lane Langley homes for sale have over height 10 feet ceilings that allows for a lot of natural lighting. The new Langley homes for sale are also located in a community that is central to schools, shopping, and transportation. Best of all, the Arbour Lane new Langley homes for sale are very afforadable and start from an incredible price point of only $669,000. Custom crafted luxury Langley homes for sale at the Arbour Lane boutique development are now available to the general public. Featuring environmentally friendly and sustainable geothermal heating and cooling system, great finishes, three car garages and legal garden suites or mortgage helpers, the custom Langley Arbour Lane homes for sale is located in a tranquil enclave that is tree lined, safe and family friendly. With the Old World charm and classic architecture, Langley home buyers will be able to purchase a custom home that reflects their childhood years. In combination with modern and high-tech finishes and features, the new custom Arbour Lane Langley homes for sale are certainly a great option for those who want modern technologies and amenities without compromising on any of the traditional family home features. Detailed craftsmanship, coved ceilings, formal dining rooms, expansive window banks, inviting fireplaces and audio system that runs throughout the homes are just some features. 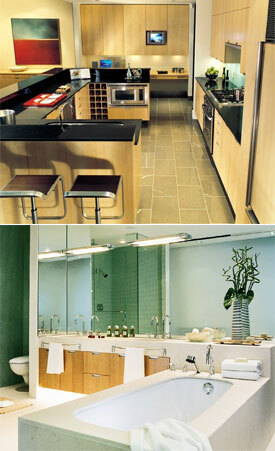 In addition, large and efficient kitchen spaces will allow for plenty of cooking and entertainment room. The custom Langley homes for sale at Arbour Lane will also feature two more bedrooms on the top floor in addition to the very big master suite. The geothermal heat exchange system will take heat from the ground and warm your home during the winter, and then do the opposite during the summer by cooling your home. In addition, the custom Arbour Lane Langley homes for sale will feature environmentally friendly materials and finishes for sustainablilty Underneath, you have a legal garden suite that you can rent out as a mortgage helper (this is ok in Langley real estae market) or you can use the extra space as a workshop or media room or gym or just storage. Close to everything, the twenty one traditional Langley Arbour Lane homes are now selling. A green real estate development is one that protects the environment for many generations to come and these Built Green Langley Arbour Lane Homes will do their part in minimizing its impact on the surroundings. These 21 custom crafted Langley homes for sale will also feature finished legal suites or mortgage helpers as some of you may call them. 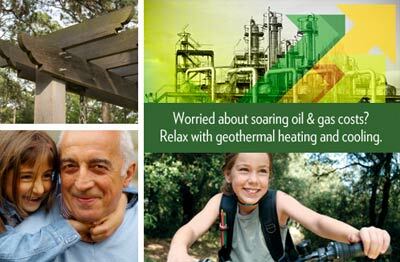 The clean and renewable geothermal heating and cooling system will not only help save the environment, but it will also allow residents at the Arbour Lane luxury Langley homes for sale to save money on hyrdo and heating for decades to come. The greener path to healthier living can be achieved through purchasing a new Built GREEN Langley home for sale here at Arbour Lane gated community where you will find impressive interior finishes that include quality design and construction, gourmet island kitchens and ten foot soaring ceilings. In addition, these impressively large family homes at Arbour Lane Langley real estate development will feature five bathrooms and a triple garage in addition to large and luxurious legal garden suites that you can rent out at any time as a mortgage helper. The eco friendly community of Arbour Lane homes also provides Energy Star appliances and windows in addition to the geothermal cooling and heating system as well as water conserving plumbing fixtures. All of the new Langley homes for sale at Arbour Lane will receive the National Home Warranty of 2/5/10 years protection according to the Homeower Protection Act of BC. This simply protects you and your investment for many years to come. These large family sized homes at Arbour Lane Langley will introduce two preliminary floorplans to registrants who are looking for a quiet and peaceful neighbourhood. Plan A features a three level residence with a main floor of 1082 square feet that has a 3 car garage (531 sq ft) attached to the foyer, living/dining room (with fireplace), powder room, open concept gourmet kitchen, great room and nook in addition to an outdoor patio. On the Upper floor of the Plan A at Arbour Lane single family Langley homes for sale, you will find 3 bedrooms plus a study, a master ensuite, walk in closet and two other bathrooms. There is also a laundry room and a study on the top floor that is 1232 square feet in size. On the lower floor, you have a legal basement suite here at the pre-construction Langley Arbour Lane homes for sale that features a media room, one bedroom, living/dining room, kitchen, full bathroom and separate laundry and this suite is 1082 square feet in size. Floorplan B is very similar in size and layout, but is flipped. The square footages include 1052 sqft on the main floor and 1232 sqft on the upper floor. The basement suite is 1052 sqft roughly in size as well and is considered to be a legal rentable suite. For more information about the gated community of Arbour Lane Langley Homes for sale, please visit 198A Street and 73A Avenue in Langley real estate market or you can call ahead at 778.578.0537 for more details about this development. A luxury condominium real estate development in Abbotsford downtown core, Yale Crossing condos is now accepting priority registrants. A charming blend of Fraser Valley real estate freedom and urban convenience, here at the pre-construction Abbotsford Yale Crossing condos for sale, you’re close to the University of the Fraser Valley, Abbotsford’s new state of the art hospital, the West Coast Express, an international airport and the Sumas border crossing in to the United States. With a broad range of larger than average Abbotsford condo floor plans to choose from, the Abbotsford Yale Crossing condominiums offer a truly sophisticated living experience for urbanites. The display suite for Yale Crossing Abbotsford condos for sale is now open and found at 16 – 33655 Essendene Avenue in Abbotsford real estate market. The pre-construction Abbotsford Yale Crossing condos will be located at 2632 Pauline Street. For more information about Yale Crossing condominiums, please call 604.557.5999 or you can visit on the website anytime at www.yalecrossing.com. A premier Abbotsford real estate condo development is located in a vibrant and growing city with country connections and offers an urban lifestyle with relaxing vibe and luxurious living spaces from first time homebuyers to retirees and families. Friendly surroundings in this bustline community of the Abbotsford Yale Crossing Condominiums for sale is now available at pre-construction pricing. According to their new condominium marketing web site, Yale Crossing Abbotsford real estate development is a perfect combination of Fraser Valley freedom and urban conveniences. Yale Crossing pre-construction Abbotsford condos for sale is the only luxurious residential condominium development in Abbotsford real estate’s downtown core at the moment, and therefore, is a unique offering that gives home buyers the combination of location and affordability. The charm of an old downtown Abbotsford condo development building brought to life by the vision of a community makes sense for a sophisticated living experience right now in Canada’s most exciting new metropolitan city. The pre-sale Abbotsford Yale Crossing condos is more than a place just to call home. The community offers residents and homebuyers a unique lifestyle choice, the sort of lifestyle that Fraser Valley has not yet known and has been severly lacking for decades until now. A stones throw from your front door is everything from eclectic shopping to stunning mountain views and country scenery, all here at the pre-construction Abbotsford condos for sale at Yale Crossing community. In addition, this Yale Crossing condo Abbotsford community is located in the historic downtown core of 2632 Pauline Street. The Yale Crossing condo display suite and model centre is conveniently located opposite the building site as well, so stop by at any time and see what you’re missing out on. For more information about the new Abbotsford condos for sale at Yale Crossing community, please visit the display suite located at #16 – 33655 Essendene Avenue, Abbotsford BC or you can also scope out the building site as mentioned above. 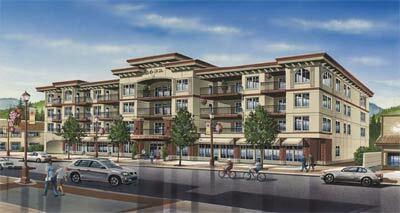 For all Abbotsford Yale Crossing condo sales inquiries, please contact 604.557.5999. For more details and information surrounding this new Abbotsford real estate downtown development, please refer online to www.yalecrossing.com today. The developer os Yale Crossing Abbotsford Downtown condominiums is proud to partner with National Home Warranty as well as Maintenance Operations Program Inc. A trusted home warranty alongside a credible and thorough maintenance program will ensure that every resident of Yale Crossing Abbotsford condos is protected in a proactive method. For more information on the home warranty or the maintenance pgoram, please visit their respective websites for details on coverage and time. Yale Crossing pre-construction Abbotsford condos for sale connects its homebuyers and residents to all that the downtown district has to offer. Nearby are schools and grocers in addition to a university, a completely brand new Abbotsford hospital and the West Coast Express that will get you downtown Vancouver in just a few minutes time. In addition, the Richmond Airport and Highway 1 thoroughfares are just minutes away from the pre-sale Abbotsford Yale Crossing condo community as is the sumas border crossing into the United States. All of this on the doorstep of those privilged enough to call Yale Crossing their new home in downtown Abbotsford real estate market. Sue Born, an interior designer, has been hired to design the interior appointments and features here at the pre-construction condos at Yale Crossing. Engaging the needs of the lifestyles of sophisticated Abbotsford home buyers, each condo suite is not only larger than any other on the property market, but also tastefully appointed by a professional interior designer as well. Please refer online for all the floor plans at Yale Crossing Abbotsford condominiums. In a breathtaking Fraser Valley real estate district rests this charming residential building that defines superior quality in construction. The true value of any home is found in its details and now, here a the new downtown Abbotsford condos for sale at Yale Crossing, each demonstrates a keen appreciation of the contemporary lifestyle for homebuyers. The kitchens at the Yale Crossing real estate community will include lower cabinet with Lazy-Susan, fixtures that include sprayer and soap dispenser, microwave and garburator, stainless steel dishwasher, high-end granite counters, stainless steel appliance set and Kohler high-end sink (under mount). The bedrooms and bathrooms here a the pre-construction downtown Abbotsford Yale Crossing condos will feature air conditioning by Carrier, motion activiated soft floor level lighting, plumbing fixtures and granite bathroom counters. With Rain Screen and the 2-5-10 year Nationa Home Warranty, you are secure in your Abbotsford real estate investment. The Yale Crossing condos for sale will also feature skylights and vaulted ceilings in all penthouse suites in addition to master walk through closets with sliding doors, fully cased windows, electric fireplaces, extensive wiring, 10 lb underlay for soundproofing, 40 ounce Nylon carpeting, French doors, Veneitan blinds and washer/dryer for the laundry closet. Greetings from Cathedral Grove Townhomes for sale, Polygon real estate developer’s executive collection of townhomes in the Morgan Heights neighbourhood of South Surrey property market. Our sales office has been a very busy place as of late, as every week we welcome new South Surrey homeowners to this vibrant neighbourhood. And as we approach the end of our presales Surrey townhouse program, I am excited to announce our much sought-after Aspen Series display homes at the Polygon Cathedral Grove Surrey Townhomes have been released for sale! Boasting some of the most prominent locations within the Cathedral Grove Morgan Heights Surrey real estate community, our two Aspen Series display homes are situated with convenient street-front access with large fenced yards, and include the interior millwork, window treatments and many other thoughtful additions designed by Polygon’s award-winning interior design team. Start your new life at Cathedral Grove Morgan Heights Townhomes in the South Surrey real estate market in a brand new home that's been professionally made-up from head to toe! View photos of these South Surrey display homes online for more details and images. Like all homes at Cathedral Grove at Morgan Heights Surrey townhouse community, these display homes for sale impress with open living spaces, main floor powder rooms, double-car garages, four spacious bedrooms, gourmet kitchens with polished granite countertops and a premium stainless steel appliance package, and access to the exclusive Evergreen Club at Morgan Heights community. I encourage you to visit us again soon so that we can help you find the Cathedral Grove South Surrey home for sale at Morgan Heights community that is right for you! As a reminder, our sales centre and display homes are located at 2738 158th Street in South Surrey real estate market, and are open noon – 6pm except Friday. In the meantime, should you have any questions regarding the display homes at Cathedral Grove South Surrey townhouses in Morgan Heights, please call Livia. Sincerely, Polygon Cathedral Grove Townhomes Ltd.
As a registrant at Cathedral Grove Townhouses for sale, Polygon’s executive collection of four bedroom townhomes in the Morgan Heights neighbourhood of South Surrey real estate market, we wanted to keep you informed of the much anticipated release for sale of our final phase this Saturday at noon sharp! These final presale Surrey homes are situated in some of the most sought-after locations at Cathedral Grove at Morgan Heights real estate district - fronting the neighbouring parklands or street-fronting across from the planned elementary school. Imagine being able to stand on your front porch to watch your kids walk to school or enjoying a sunny South Surrey Morgan Heights afternoon in the park just steps from home! And with spacious Morgan Heights Surrey Cathedral Grove floor plans boasting up to 2,200 square feet with premium stainless steel Bosch and Fisher-Paykel appliances and the latest contemporary finishes, these new Surrey homes for sale are sure to impress. If that weren't enough, all Cathedral Grove Surrey townhome residents can enjoy membership to the exclusive country-club inspired Morgan Heights Evergreen Club with its pool, spa, state-of-the-art theatre, and indoor hockey room; both an architecturally stunning centerpiece and the true heart of the community. Cathedral Grove at Morgan Heights South Surrey real estate townhomes for sale also positions residents within the burgeoning Morgan Heights neighbourhood – top-ranked Southridge Private School is just down the street, the conveniences of the brand new Grandview Corners and Morgan Crossing shopping centres are close by, and a plethora of parks, athletic fields, and recreation opportunities surround. With just a limited number of new Surrey homes for sale in this final phase of Cathedral Grove Morgan Heights, we encourage you to come early on Saturday to ensure the best selection. If you have not already done so, please call us at 604-541-7383 to receive floorplans and more information. As a reminder, our Morgan Heights South Surrey sales centre and display homes are located at 2738 158th Street in South Surrey, and are open noon – 5pm except Friday. Sincerely, Polygon Cathedral Grove Townhomes Ltd.
Greetings from Cathedral Grove Townhomes in South Surrey Morgan Heights by Polygon home builders. Since they announced that Phase 1 homes were completely sold out by late March, there have been a tremendous number of sales inquiries from people expressing their disappointment that they were not able to secure a South Surrey Cathedral Grove townhome for sale. However, Polygon Homes is now pleased to announce that the Cathedral Grove pre-construction south Surrey real estate development is launching phase 2 sales early. The homes in Phase II Cathedral Grove Morgan Heights neighbourhood continue in the theme of traditional English Arts and Crafts styling combining a compelling mix of architectural detailing and dramatic pitched roofs, stone detailing and extensive wood. Inside, large four bedroom South Surrey homes for sale will range up to twenty two hundred square feet with designer finishing and the Polygon quality and attention to detail throughout these new South Surrey homes for sale. With construction on Phase II Cathedral Grove Townhomes in Morgan Heights South Surrey real estate development well underway, and the first available moves scheduled for September 2009, you can now re-discover this South Surrey real estate development. The sales centre I slocated at 2738 158th Street in South Surrey, BC. In the meantime, Polygon Homes is excited about what appears to be a more vibrant Greater Vancouver spring real estate market. Sales have picked up with a 53% increase from February to March according to REBGV MLS stats. Prices have come down and are stabilizing. And interest rates are at a record low, giving you buying power not seen in 40 years. With homeowners in the first phase of Cathedral Grove pre-construction Morgan Heights South Surrey real estate development all moved in, there is a real buzz here as residents welcome spring and look forward to a hot summer by the pool. Polygon Homes is excited about this next phase at Cathedral Grove townhomes in South Surrey and look forward to the chance to invite you to join this thriving community in the near future. Two draft floor plans for Cathedral Grove townhomes Morgan Heights have been released including the Aspen Series townhouses Plan A2 which is a four bedroom townhome with approximately 1921 square feet over three levels and a double car garage. The Birch Series Cathedral Grove townhome floor plans in South Surrey Morgan Heights features three bedroom plus flex space in Plan B1 which approximately 1877 square feet in space. For more information about the masterplanned Morgan Heights South Surrey real estate development and the Cathedral Grove townhomes, click here.